We did not think that the nonedescript cafè we randomly walked into for a bottle of water would turn out to be a little gem in this south western city of Sicily, Sciacca. It was also for that reason we only have pictures of half-devoured food. As you enter into Bar del Corso Fratelli Todaro, owner Sig. Todaro sharply observes which pastry on their display case catches your attention and without fail he would serve you the one you would very much like to try. A sharp mindreader indeed. We also get to taste a specialty sweet of Sciacca - the Cucchitelli. This traditional Arabic pastry is filled with a sweet jam made from opo squash. 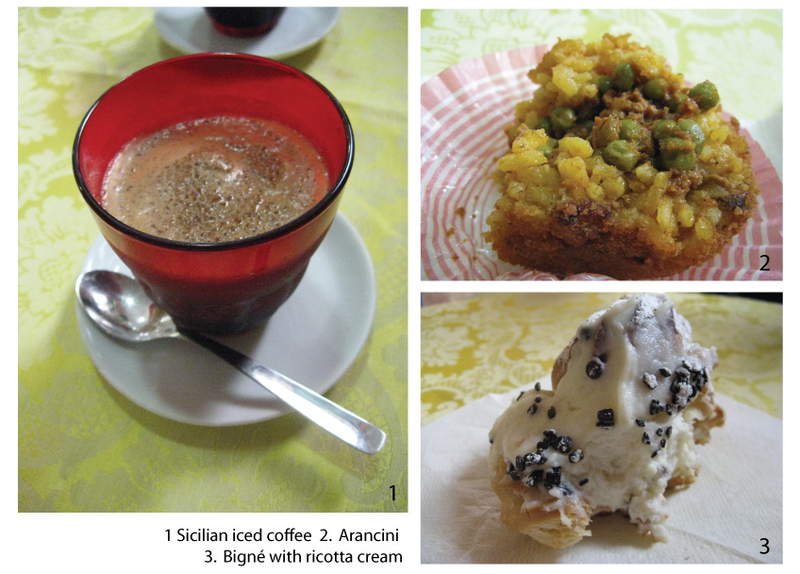 Our favourites at Cafe del Corso: Riccotta filled bigné and cannoli,cucchitelli of course, and the refreshing iced coffee slush. For those who prefer savoury food, we recommend the café’s hearty arancini (fried saffron rice balls with ragu filling).